The Dean’s welcome meeting with Information Systems & Technology Department and Business Administration Department academic staff members was conducted on 27th of September 2018. The Dean welcomed the academic staff members to SUC in the new academic year. He reminded them that the college is preparing for the Institutional Standard Reassessment. He asked the department members to be supportive for this process to be a success. The Dean said that the academic staff members should be cognizant of the three areas of college activities: Teaching, Research and Community Services. He requested that academic staff ensure that they are active in all these three areas all the time. The Dean suggested that academic staff conduct research activities collaboratively. He reminded them about the importance of research for the college and their own professional development. He also pointed out that academic staff have a contractual obligation to publish under the auspices of SUC. Therefore, he recommended that all the academic staff members should publish research papers in well reputed journals that are recognized by the SUC college level Scientific Research Committee. The Dean asked academic staff members to set office hours, that is students’ consultation time and inform students about this. He advised that the number of students and the services or help that they require during this time be included in the Semester Course Report. This information will help the college to monitor the use of consultation time by students. He reiterated that when an academic staff member leaves the college premises for any reason during working hours, they should inform their respective head of the department. The Dean suggested that faculty members update their course files every week. He further reminded them that all academic staff members have to distribute course outlines to all students on the first day of class. He advised all academic staff to ensure that the course content is followed properly. 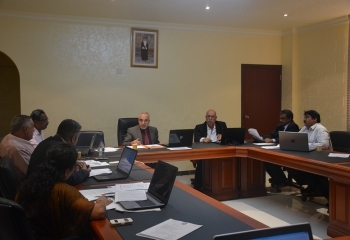 He said that academic staff members should ensure that suitable assessment techniques are used and that learning outcomes are attained for all courses. The Dean recommended that all students’ assessments should be checked for plagiarism and samples of the plagiarism reports have to be kept in the course files as evidence. Students need to be made aware of this process and they must also be given a copy of the plagiarism report. The Dean encouraged academic staff members to identify and conduct community engagement activities. He said that if any members have suggestions for community engagement activities they need to inform department level committees for further actions. He informed them that the Marketing and Public Relations Department can be contacted for necessary support. 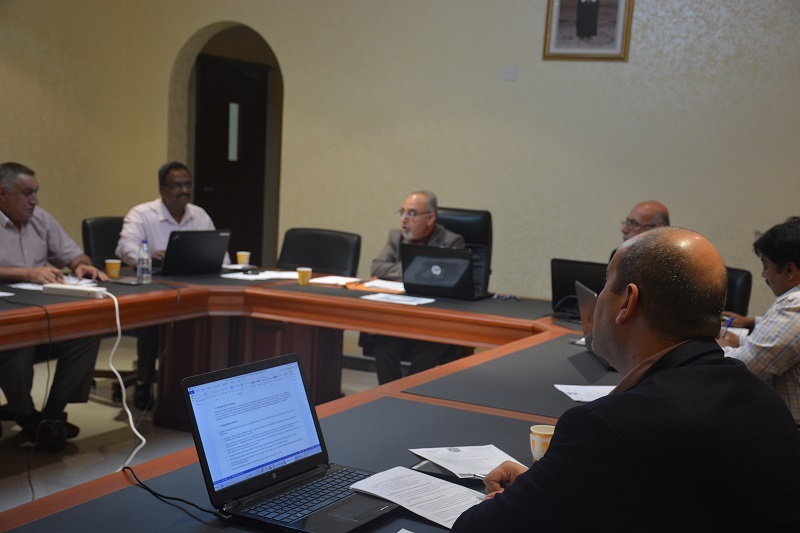 The Dean informed the academic staff members that the college has been successful in meeting the minimum requirements of two standards of the Institutional Standards Assessments conducted by OAAA. Quality Assurance Unit is writing the report for Institutional Standard Reassessment for the remaining six standards on which the college will be evaluated. On completion of this report, subcommittees will be formed for each standard to review the report and ensure that it has necessary supporting materials. These committees will also be responsible for conducting training to all college staff members about that standard. The Dean said that the department level committees should conduct meetings in line with their duties and responsibilities and maintain all the necessary records. The Dean also informed staff about the importance of following proper reporting channels. He advised that staff members must always report or raise issues at appropriate department level committees or with the head of the department. The Dean requested academic staff members to review and update the material that is in the college website, student folders proxy and Model.